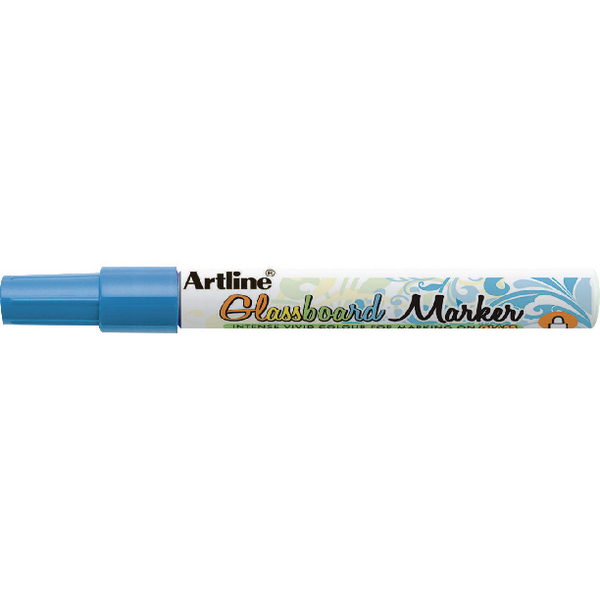 Artline Assorted Glassboard Marker Fine (Pack of 6) EPG-4W6ASS – AR86243 – OfficeYoo! Choose an Artline Glassboard Marker when you want vivid, thick lines for eye-catching window displays. These markers feature a fine 2.0mm bullet tip for a consistent line width when writing or drawing. Made from strong acrylic fibre for long-lasting use, these markers contain a thick and dense ink for bright and vibrant writing on glass surfaces. The ink is also low odour for increased comfort when writing and can be simply erased with a wet or dry wipe. This pack contains 6 assorted markers in pink, orange, yellow, green, blue and indigo.